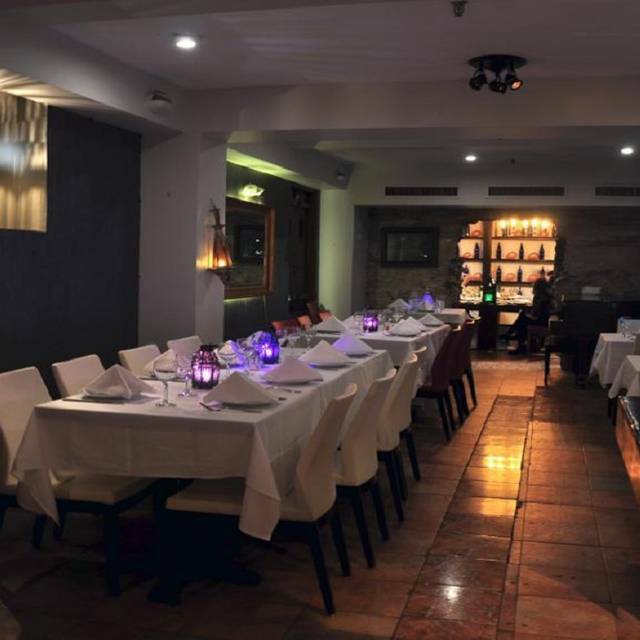 You must make reservations at least 5 minutes in advance of the time at Turkuaz Restaurant. We have 20 years of experience in the corporate and residential catering business. The richness of the menu makes it available to create a colorful and delicious presentation. Chafing dishes and stereos, silverware and plates are also available to be ordered for finer catering orders. We have a private area downstairs and it consists of two semi private sections. The wine room at the far end can host 14 guests and the front side can seat 40 guests. Combining these two rooms in the same level gives us availability to host up to 60 people. Our team is experienced and we have hosted many small and medium sized private parties. Our location is ideal for groups due to our strategic location to the mass transit and cultural venues in the heart of the City. The diversity of the menu will please guests with all taste buds and special requirements. We have a lot of options for vegans, vegetarians, carnivores and gluten-free lovers. We enjoyed the 7 appetizer platter very much - enough for a meal! Although the restaurant lists a prix fixe menu on the website we were told there is none. We had 2 lamb dishes - one with okra and the other was called Sultan’s Delight. The Baklava was excellent and we finished with Turkish coffee, though the medium sweet was hardly sweet at all, next time I’d order the sweet version. Cozy quiet restaurant with delicious food. Ambience was lovely! Service was phenomenal. Extra attention when waiter found out it was my husband's birthday, he came out with b'day dessert even though we hadn't ordered any. He went beyond his duty of service. He showed compassion and interest! Would highly recommend this Turkish gem of a restaurant. Outstanding!!! Delicious food brought happy memories of our trip to Turkey. Nice ambience and attentive service made for a lovely lunch. Outstanding restaurant, terrific service, a new neighborhood gem. Had a great dinner here with friends. We actually thought our reservation was at their other location, where there is a full bar; this site only offers wine and beer. Nevertheless, the food and service were amazing! Nicely paced, well prepared. The waiter boned our whole branzino fish at table, which was so nice. We will return. 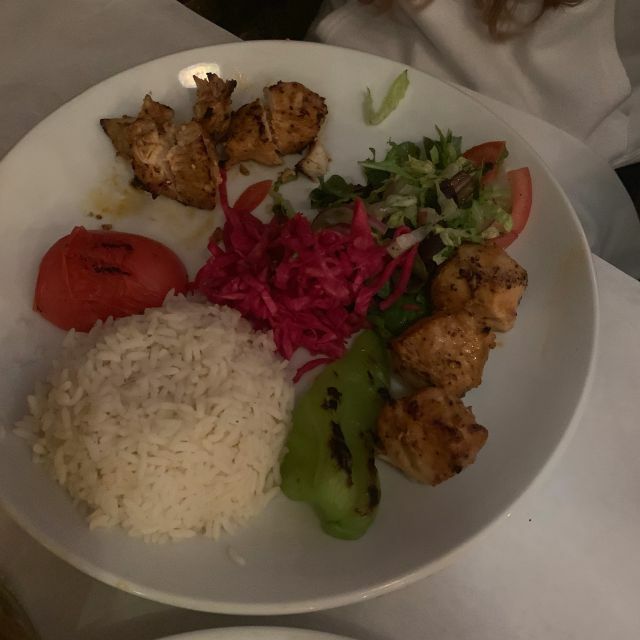 We selected Turkuaz from reviews of restaurants convenient to Studio 54 and were extremely pleased with our pre-theatre dinner. Based on excellent suggestions from our waiter, three of us shared an appetizer of delicious babaganoush, an order of incredible grilled octopus (a special of the day — perfectly prepared) and two orders of stuffed cabbage. 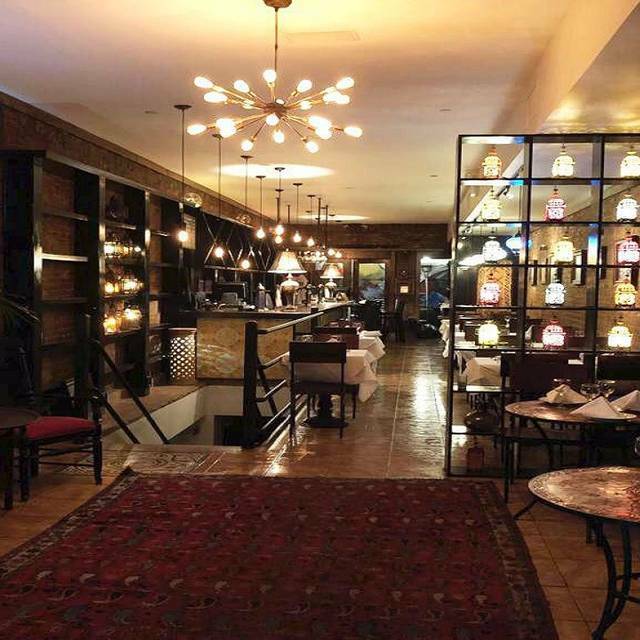 We would highly recommend Turkuaz to others and look forward to a return visit. We were celebrating my granddaughter's 8th birthday. They were extremely friendly when entering and we were seated at a table in the back of the restaurant. We had chicken kabobs and chicken sultan and they were both excellent. When we return to NYC, we will definitely go back. The food and service were superb! Definitely will go back. since the last time we were here a couple of weeks ago, the service has somewhat improved and the place does not seem to have its act together as yet. and waiting for courses seems rather long. the food is very good as is the wine so we will come again albeit at a future time. First time eating Turkish food. Very glad we went there. All food was delicious. Hummus, lamb, and chicken were so good. Would definitely return in the future. Delicious food. Nice ambience and good service. We would go back DEFINITELY! Thoroughly enjoyable experience - ambience, service, food. Delicious soup and grilled chicken. Vegetable casserole not as good! So good to find Turquaz again since it left the UWS. It was so nice to have my “regular” salmon in grape leaves. The food was a bit dry, otherwise I would have awarded 5 stars. The ambiance was s very pleasant— quiet and attractive. Good Turkish restaurant in the theater district. It was crowded so people know about it. A varied menu with many choices. The meal was excellent. Do not order too much as the portions are quite large. Nice ambiance, but not too many indoor tables. In the summer, they have an outdoor patio which will ease the overflow. They do have a downstairs section which they needed to use on Saturday night. Make your reservations and try this nice addition to the area around Studio 54. Service was simply outstanding. Excellent. Cozy environment, nice lit candles and the food was extremely delicious. Better than what was expected...I will surely visit again. we went for many years to the Upper West Side location and always enjoyed it and so we were very much looking forward to coming here in the theatre district. I understand they have only been open for 3 months so I am making some allowances but I must say that the service was very poor and they could not get the timing right even though we told them that we were going on to a show so it spoiled the experience a bit. the food was okay but I think the kitchen needs some work as well. and they only had one bottle of red to offer which was happily pretty good. we will come back but not for awhile. My friend and I had a lovely lunch at Turkuaz, where they have a very reasonable lunch special. I would highly recommend it! We visited Turkuaz mid-day on a Sunday, prior to seeing a Broadway show. The atmosphere was inviting. Turkish music was played softly in the background and we felt transported to a different country. The food was delicious. The service could not have been better. We were given personalized attention. We will certainly return. Great to come back to Turkuaz in our visit to NYC. Not anymore in a tent but close to Times Square, this place is quiet and the food is amazing. Very nice for a romantic dinner. Service was extraordinary also. Food is consistently delicious and service is amazing. Highly recommended. Fresh salad with special mix of olive oil goes well with the pita. Ground beef and lamb chop were really fresh and tasty. 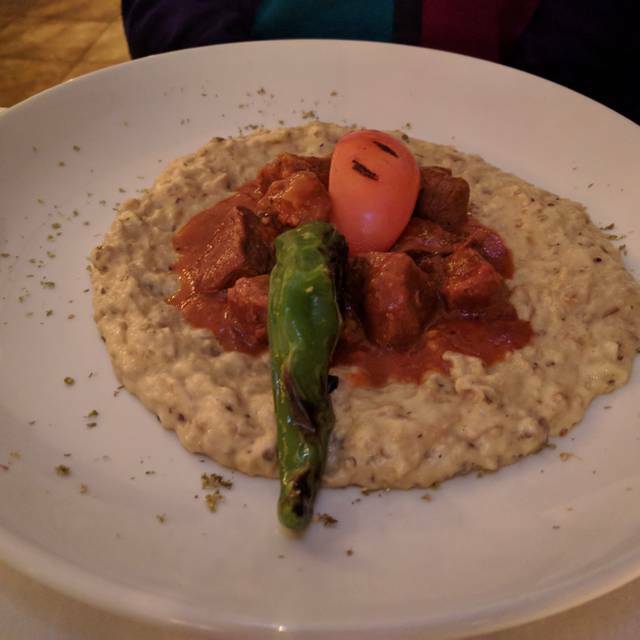 What a wonderful meal from start to finish at Turquaz! Excellent food, lovely customer service, and a beautiful space for dinner. If only I still lived a few blocks away I would go once a week! We missed Turkuaz on the UWS so decided to try them at their new location. Quite pleased with the easy reservation procedure, extensive menu and good service. Not quite the ambience of the "old place", but the new has a warm feeling. Menu is about the same--no liquor license yet. Excellent food at a good price. Would recommend and certainly will visit again.